Tanzania will go ahead with plans to mine uranium in the UN World Heritage site Selous Game Reserve, the natural resources minister has told the BBC. Ezekiel Maige said he told the recent UN World Heritage Centre meeting it would mean the park's size would need to be reduced by less than 1%. The UN body said it would approve the plans, as long as environmental assessments were carried out. Money made from the mining would help in the park's upkeep, Mr Maige said. According to the UN cultural organisation Unesco, the 5m hectare-Selous Game Reserve in the south of Tanzania has large numbers of elephants, black rhinos, cheetahs, giraffes, hippos and crocodiles - and is relatively undisturbed by humans. In an interview with the BBC Swahili Service, Mr Maige said the uranium mining project was in its infancy, but it would only affect about 0.69% of the current World Heritage site park and would be an important source of income for the country. Firms could expect to earn $200m (£125m) each year from mining uranium from the site, of which $5m would be paid to the government, he said. Some of this would be able to help with the costly business of managing the park, and it would provide employment for about 1,600 Tanzanians. During the annual meeting of the World Heritage Committee, the minister said concern had also been expressed about the Undendeule Forest Reserve, to the south of the Selous Game Reserve. 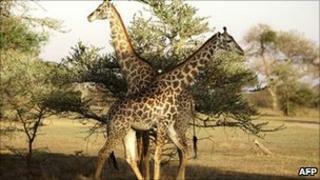 But Mr Maige, who also serves as Tanzania's tourism minister, insisted there would be no impact on that forest either. He said it currently costs the government about $490,000 a year to manage it and the income from mining would help pay for guards to stop poaching. He said Tanzania did not need permission from Unesco to go ahead with its uranium mining plan, but the East African nation wanted to take into account the organisation's recommendations. "The uranium project will go ahead," he told the BBC. Unesco spokesman Lazare Eloundou Assomo told the BBC it would be "regrettable" if Tanzania started uranium mining without the UN body's approval. He did not say how long the assessments would take. The World Heritage Committee wanted Tanzania's own assessment to be approved by the country's environmental agency, Mr Maige said. The second requirement was for a UN team of experts to visit the area to give their own recommendations for the protection of the ecosystem. The minister said a decision would then be taken at next year's WHC meeting about changing the boundaries of the Selous Game Reserve. Studies so far had shown that there was no need for concern about radiation poisoning from the uranium extraction in the area, Mr Maige said. "Radiation levels will remain the same - the minerals in the ground are already emitting a degree of radiation, but it is not dangerous for human beings, the animals or the [Mkuju] river," he said, adding that the uranium would be processed abroad.